High colors may be specified by their index h0, ..., h255 or with the shortcuts for the color cube #000, #006, #008, ..., #fff or gray scale entries g0 (black from color cube) , g3, g7, ... g100 (white from color cube). Let me know if you make any good colorschemes and I'll add it to the default collection. Mouse interaction doesn't seem to work properly in the Apple Terminal. I would recommend using iTerm2 or rxvt / xterm in XQuartz. Add vi readline keybindings. urwid doesn't support readline currently. 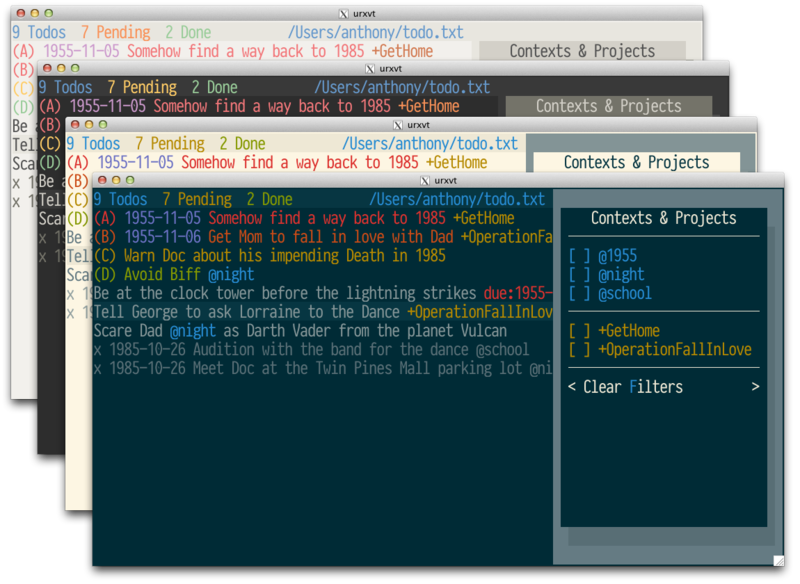 The emacs style bindings currently available are emulated.